Originally we were going to go to Niagara Falls by ourselves, but we ended up teaming up with Daryl and Denise who drove us there. It took about three hours to Niagara-on-the-lake, where we had lunch at an English-type pub called The Olde Angel Inn, where the food was enjoyable but the prices touristy. 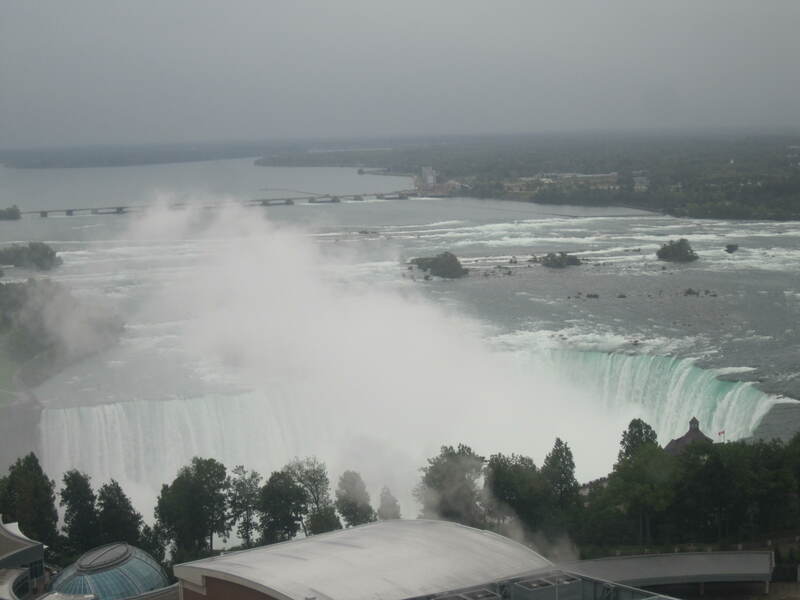 As the Falls came into view, we could see why the Canadian Falls are better than the ones on the USA side. 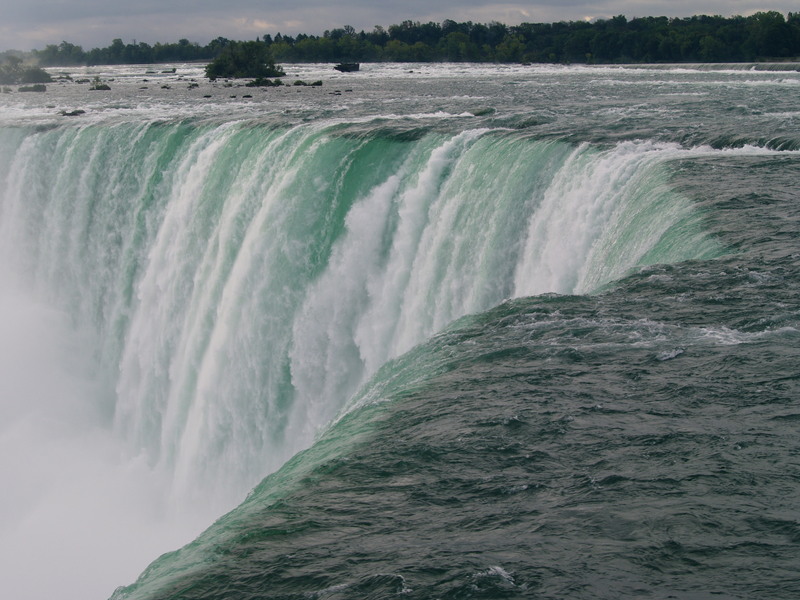 The Horseshoe formation gives a more spectacular flow of water. Erosion means the Falls move farther upstream with each passing eon, something we don’t have to worry about. 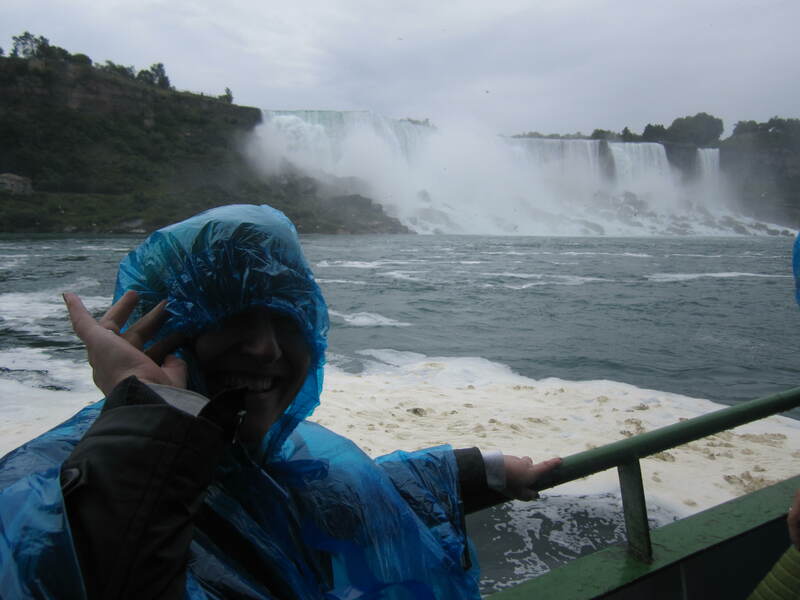 It’s almost obligatory to do the Maid in the Mist, so for a cost of $16.50 and armed with our ponchos we joined the queue that very afternoon to experience Niagara Falls. Apparently tour groups tend to congregate in the mornings so we didn’t have to wait more than half an hour. Being warned that we would get wet, I opted to take my runners off and tie the shoelaces together and go barefoot, hanging the runners over my bum bag under the protection of the poncho. This proved to be a good move, as the water made its way wherever it could. It was a challenge trying to take photos of the power and the majesty of the Falls, while trying to keep the poncho tucked around one’s neck and legs at the same time. The boat ride takes about half an hour, and by the end you feel quite exhausted but also exhilarated. This visit had been “on my list” for thirty years, and it was well worth seeing another of the Great Wonders of the World. 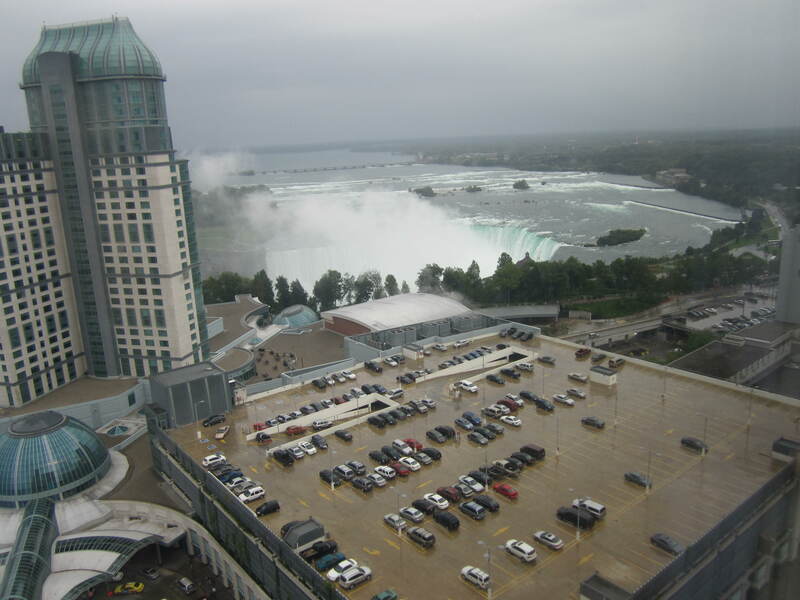 Denise had booked us into the Hilton Fallsview, with rooms overlooking the Falls. We were up on the 32nd floor, which afforded us a good view. She had also cleverly found a voucher that gave us discounts on dinner, plus a winery tour the following day, for only an extra $20, making a grand total of $179 (plus tax). No matter what price we saw in both Canada and USA, we always had to remember that annoying phrase “plus tax” – from hotel bill to souvenirs to restaurants. That’s one thing I love about Australia, that the price you see is the price you pay. Since the weather had turned inclement, we decided to go to a restaurant within the hotel complex. 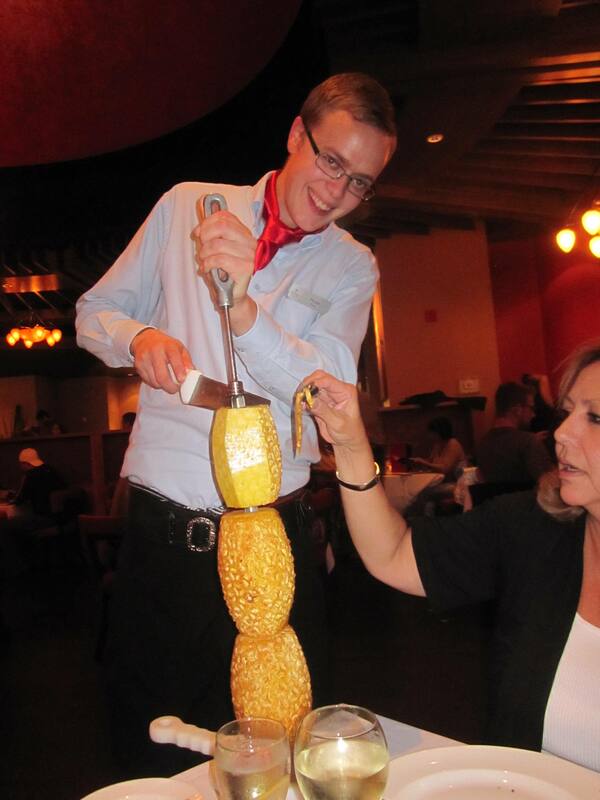 The Brasa Brazilian Steakhouse was a fantastic choice. It was a buffet with a difference, where food waiters would go around to each table with a different meat. 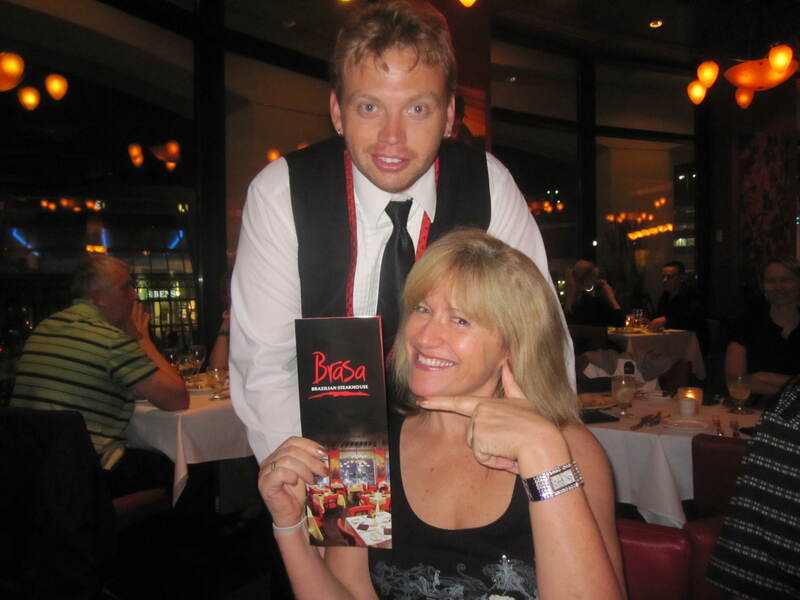 At each place setting was a coaster with the Brasa logo, one side red and the other side green. When you wished for some meat, you turned the green up, so that they knew whether to offer you anything, and red when you needed some respite. Salads to accompany the meat dishes were at a buffet table, and we were extremely impressed with the quality of everything there. Choices of sirloin, ribeye, chicken, lamb, and even pineapple meant that we all overate. It was a brilliant concept, and magnificently executed. 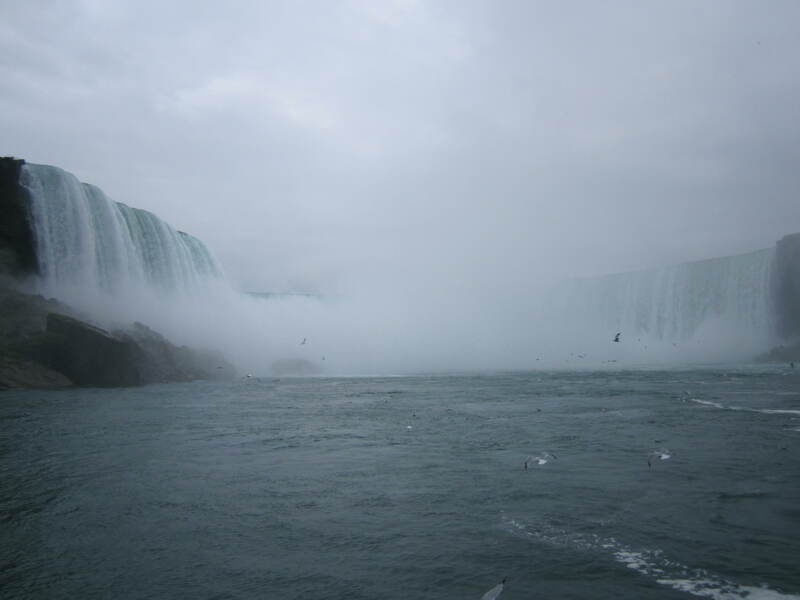 This entry was posted in Canada and tagged bucket list, Canada, Niagara Falls. Bookmark the permalink.